After years of bombing up, down and sideways along M’s 1,3,4,5,6,25,60 and 62 (and even the rare ones like the 55 and 65) it’s a pleasant change to amble along country lanes to a village to see football at the same tier of a different league system. It’s altogether less fraught. 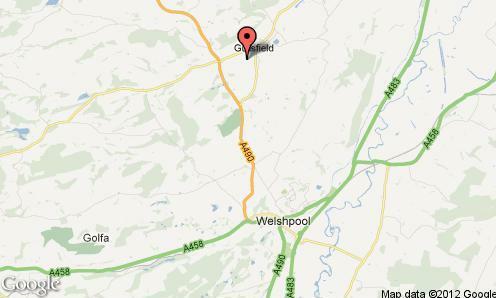 Guilsfield really is a tiny village in the middle of nowhere, just across the English-Welsh border, about three miles north west of Welshpool. 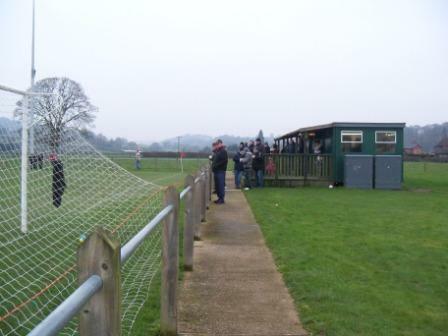 The club was formed in 1957 by Bill Laker and a few others, who decided the village needed a team of its own to compete with others in the area. 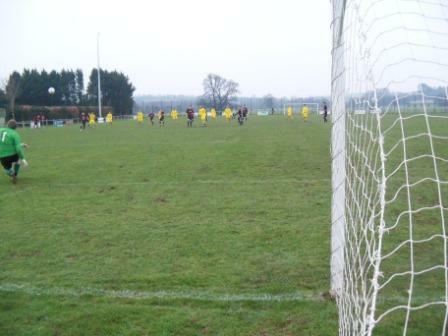 They entered the Montgomeryshire Amateur League and played their home games on farmers’ fields, the rental of which was paid for in kind by helping out with the harvest. During the mid sixties the Community Centre was built with room for a football pitch (or two), and that’s where they are today. Only a month or two back, floodlights were installed for the first time. Also, recently the ground had moved onto the pitch next door, with a snack bar, decking and new stand being erected. The old stand is still sitting there with its back to the action on the adjoining pitch. 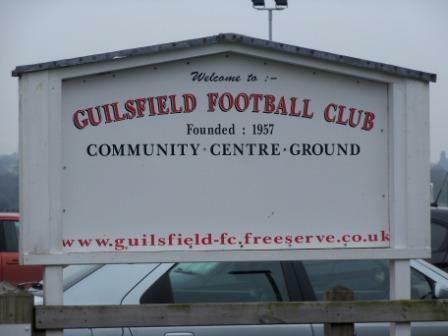 Guilsfield’s old stand and dugouts, abutting on to the new ground. 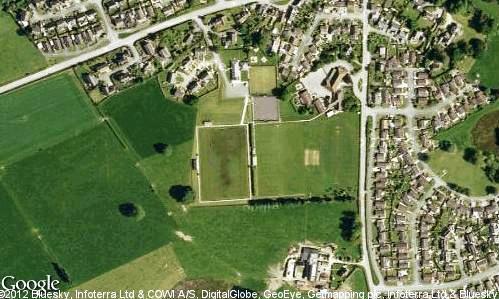 Guilsfield’s two pitches, past and present. Present on the left. There is not a lot to the sleepy village, save for the very picturesque church in the middle. Aside from this, it boasts a post office, doctor’s surgery and two public houses. One of which I spent a pleasant half hour in before the game – The Oak. As you exit the village to the south, the Community Centre and sports ground entrance is on the left, with The Oak opposite the entrance on the other side of the road – a very welcoming pub selling real ale. As you’d expect, crowds aren’t big here, despite Guilsfield being regulars in the second tier Cymru Alliance now. 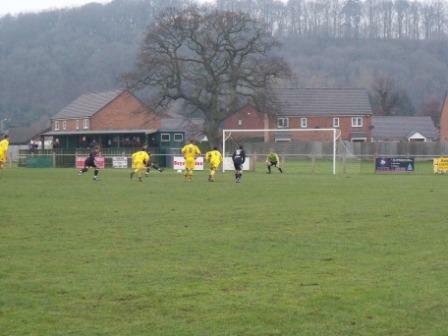 Only 85 were present against one of the glamour teams – Cefn Druids – oldest club in Wales and promotion hopefuls. The snack bar was a really neat idea, with a decked veranda split in to two squares, where you can drink your mug of coffee (it’s always proper mugs in Wales! )and lean on the side, watching the game. 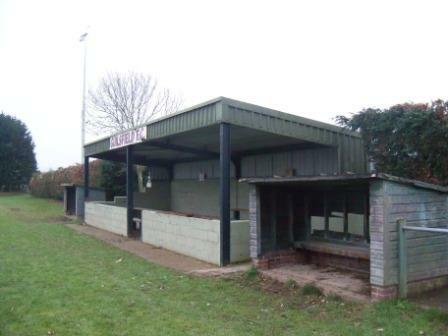 The main stand was a smart diddy 100-odd seater in four rows, overlooked by a majestic oak tree. 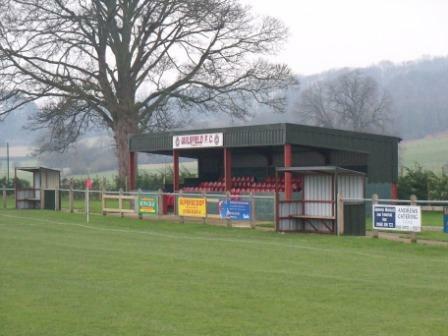 It is a tidy ground in a very rural location, although the views are not as spectacular as some in the Welsh valleys. The overcast weather didn’t help, lending a poor light throughout the game. Cefn Druids were the favourites, but I’d seen them a few times recently, and it always seems to be the same story with them. They always look comfortably the better side and always beat their lower placed rivals on points, but don’t half make a meal of it. They seem to end up scraping a win by the odd goal, despite dominating play and possession. Today was no different. 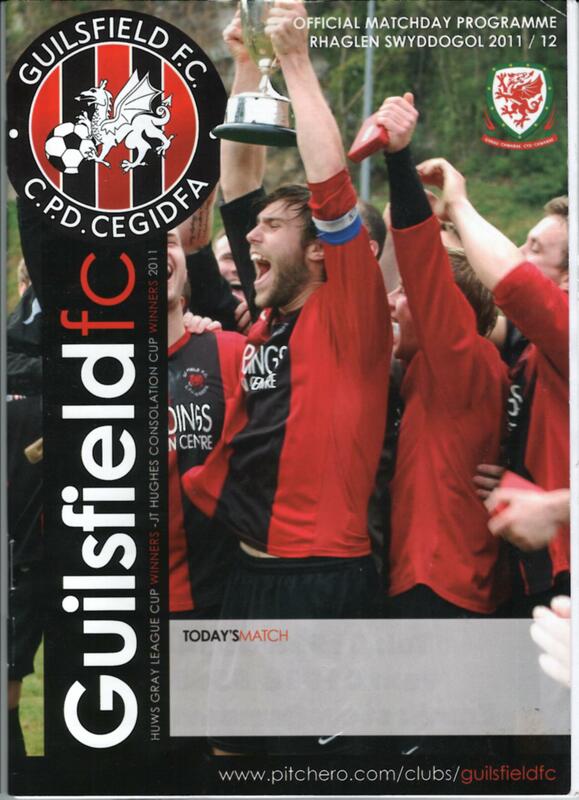 Despite taking an early lead they let Guilsfield back into the game by conceding a penalty and then huffed and puffed to a winner in the second half. It was a decent game, though. This entry was posted in Groundhopping, Travelog, Welsh football and tagged Cefn Druids, cymru alliance, guilsfield community centre, Guilsfield FC, Welsh football. Bookmark the permalink.